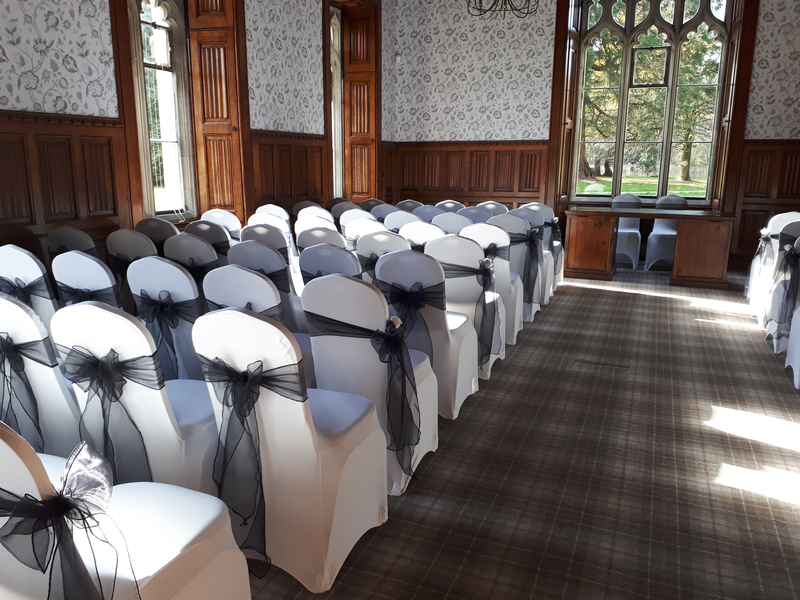 If you plan on using the chairs provided by your venue, it’s quite likely you’ll want to decorate them with chair covers and sashes. 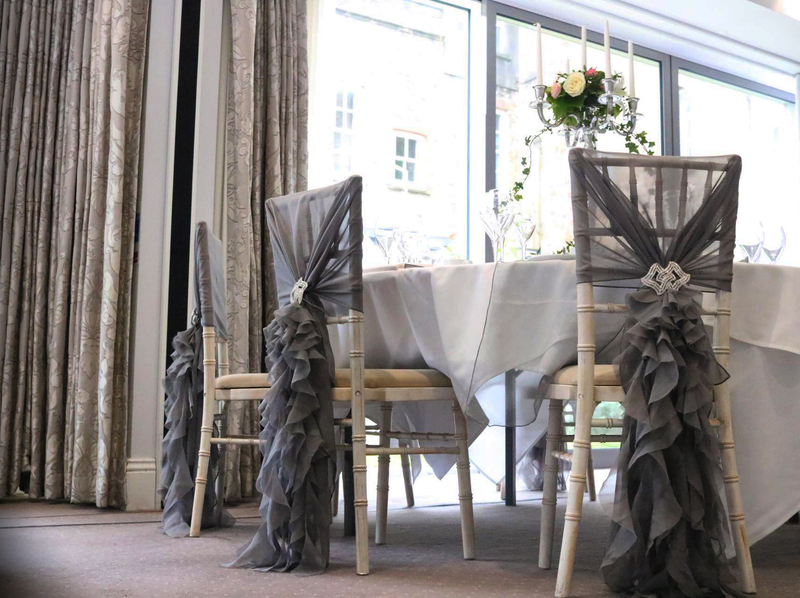 We offer a chair decorating service for all types of chairs, so even if you’d just like to add a sash or bow to your Chiavari chairs, we can do this. 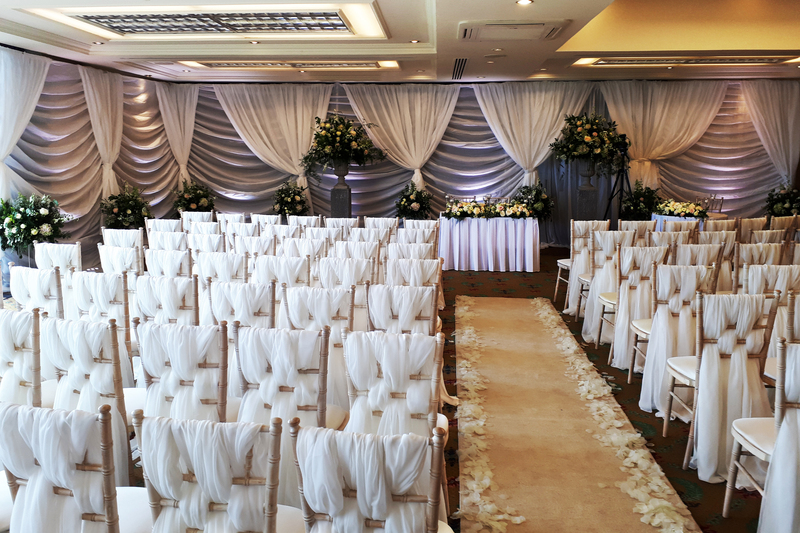 We have a range of fabric types to choose from; Organza, Taffeta, Satin, Lace and Hessian. You are welcome to combine materials too if you wish. Quite a popular option is to add lace to any of the other three fabrics. We also have hoods, which are an alternative to sashes. They cover the top of the white chair cover and are often used with the tails. You can add various brooches to your chair sash, we have pearls, diamante, flowers and a mix of each.